WIN founder and CEO, Marilyn Fowler, has taken a leave of absence due to health issues. The WIN board continues working on many initiatives and programs. We all wish Marilyn a quick recovery! Marilyn’s family is accepting gifts to assist with her care at this GoFundMe site. and beyond, for full participation in our Governments and our Economies. 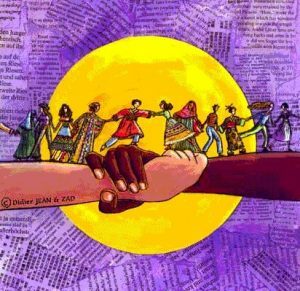 Calling the Circle is the fist step in our international strategy for linking women’s organizations around the world for collective action on mutual concerns. Click for more information! A state action alliance of organizations, working to implement the Beijing Platform and CEDAW at the grassroots. Our banner is who we are – women and girls bridging cultures, creeds, classes, ages and gender preference. WIN’s mission is to assure that all women and girl’s voices are heard in public forums for full participation in their governments and economies. We do this by linking them across geographical boundaries and cultures creating exchange of ideas and skills in policy, professional and economic leadership. 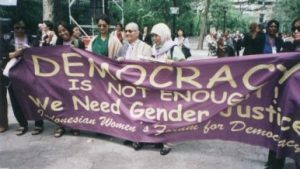 WIN built the first state policy mechanism to implement the Beijing Platform for Action, (BPFA), from the 1995 4th World Conference on Women known globally as the California Women’s Agenda, (CAWA). WIN’s Calling the Circles’ initiative took our mission global using CAWA as a replicable organizing model. 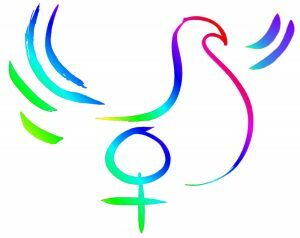 We co-founded US Women Connect (USWC), the US policy mechanism for the BPFA. 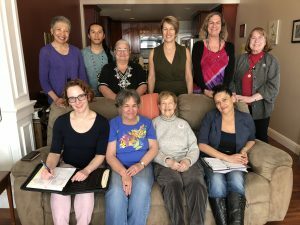 WIN is co-architect of the Cities for CEDAW Campaign, (The Convention on the Elimination of All Forms of Discrimination Against Women), that is bringing the global UN Women’s Treaty to the grassroots of America with 60 cities currently engaged. 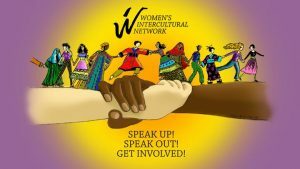 Our aim is to create and connect women’s and human rights networks locally and globally to function on the ground and electronically across barriers and divides for collaboration on emerging critical concerns. We design new models for digital and analog communication for joint advocacy of/to these concerns. WIN was incorporated in 1995 as a 501©(3) non-governmental organization, (NGO), consultative to the United Nations Economic and Social Council, (ECOSOC). Get in touch today, and become part of the solution!